We have developed a fetish for flower frogs! So vintage and useful, the heavy glass frogs were designed to assist in flower arranging by placement in a vase of water and inserting flower stems into the holes. And why are they called "frogs"? Because they sit in water, silly! 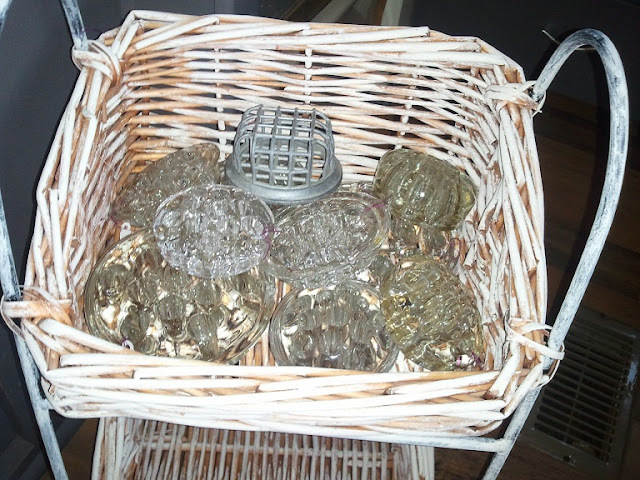 Our great selection of flower frogs...we even have a metal one! And this one keeps my make-up brushes organized! See why we like them so much? ?